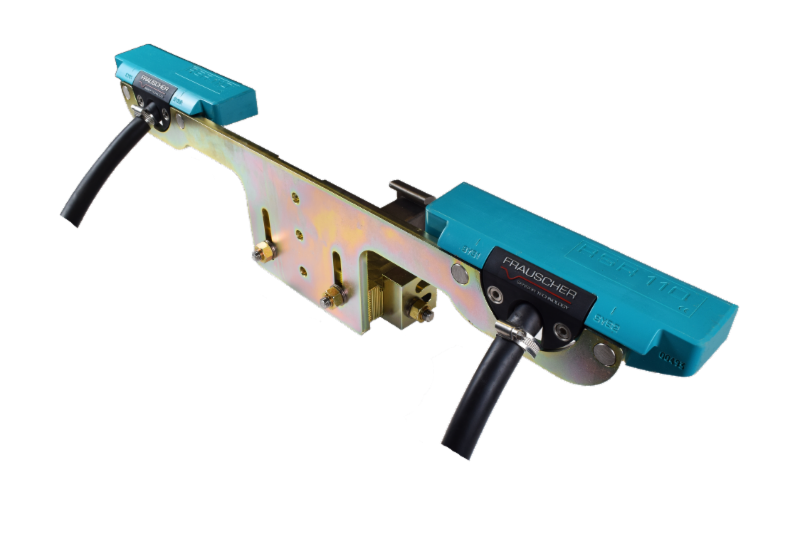 The Frauscher Zero-Speed Dual Gating Wheel Detector Assembly is a rail-mounted device that generates precision wheel timing signals for the SmartScanNG² Defect Detector . The combination of inductive operating principles and the robust design of the RSR110 sensors guarantee high reliability, even when subjected to extreme mechanical, electromagnetic, climatic and environmental working conditions. 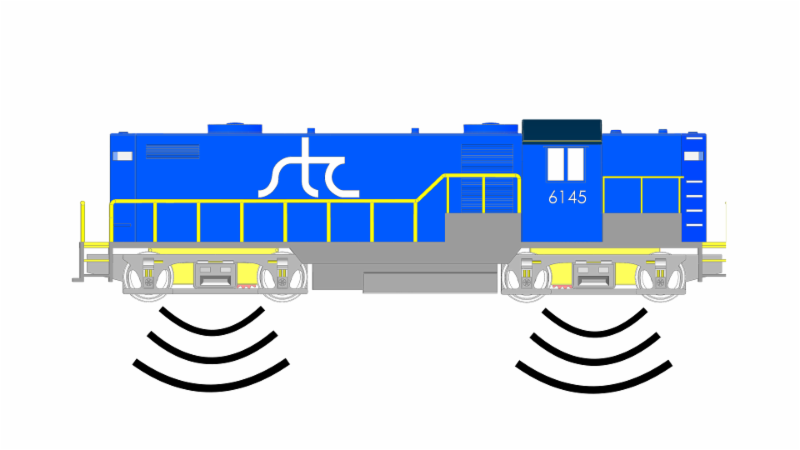 Frauscher wheel sensors allow the SmartScanNG² to record precise axle counts for train speeds from 0-100 mph. 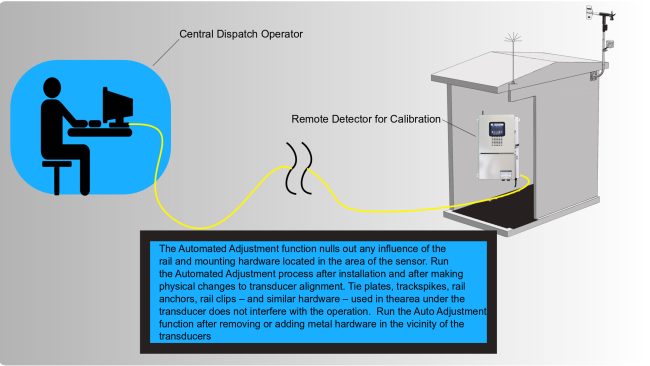 Accurate consist information is maintained even for stop-and-go train movements. 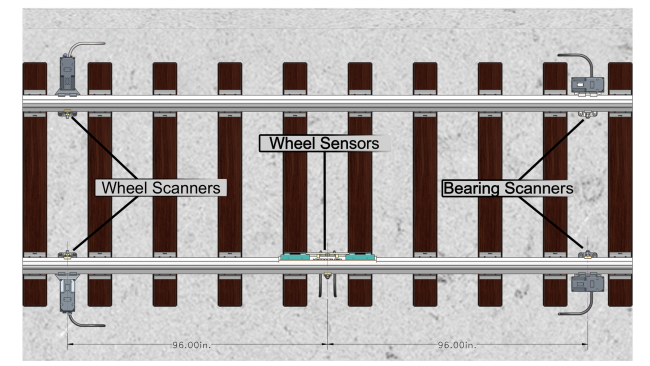 Frauscher sensors exhibit marked improvements over magnetic wheel sensors. The electromagnetic interference (EMI) generated by a locomotive’s traction motors can be detrimental to wheel sensor performance. The Frauscher wheel sensor has demonstrated a higher level of immunity to EMI than other wheel sensors, thus reducing the possibility of axle miscounts and consist errors. Crib spacing and rail components can sometimes make it challenging to co-locate the scanners and wheel sensors in the standard configuration. When Frauscher wheel sensors are used, the "virtual" gate feature can be set up via the SmartScanNG² User Interface. The virtual gate allows wheel and bearing scanner installation to be offset up to one hundred inches from the wheel sensors. After installation and set-up, the Frauscher wheel sensors have the unique capability to be remotely calibrated. Remote calibration helps keep personnel out of the Red Zone, positively impacting safety and man-hours. We compiled the results in this graphic from two active wayside detection sites. 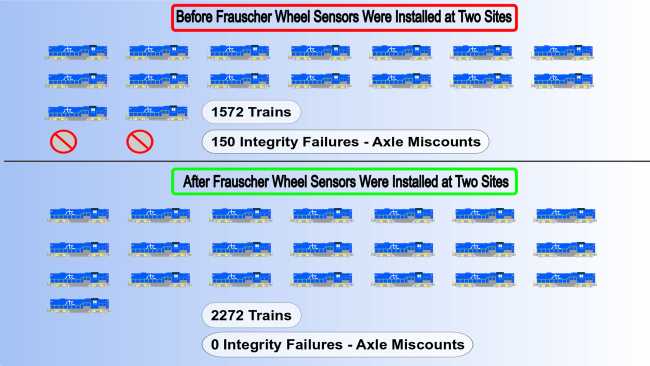 The data shows, how the addition of the new wheel sensors helped reduce axle miscounts and increase train velocity at the site. 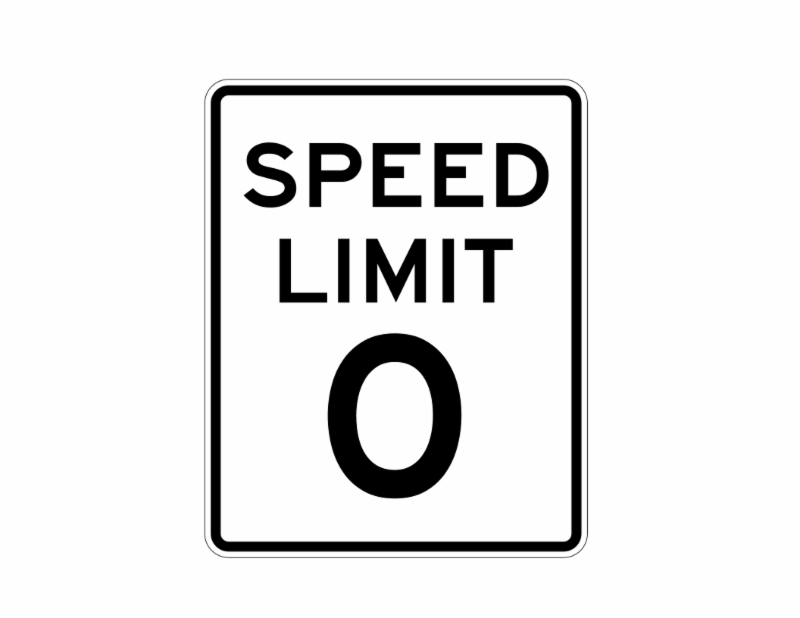 Reducing axle miscounts also reduces the number of Maintenance visits at a site. Please forward this email to anyone you think may benefit from STC product information.